There are two fundamental ways to make steel today. One, through which about 60% of steel products are made - including steel cans - is the basic oxygen furnace process. Molten iron is blended with 20-30% scrap steel, resulting in products containing an average of 25% recycled steel. The other method, the electric arc furnace process, through which about 40% of the nation’s steel is made, uses virtually 100% scrap in the steelmaking process. All products produced in electric arc furnaces therefore contain 100% recycled steel. The steelmaking process used depends on end-product specifications, scrap economics and availability, and other productivity factors. The specifications for a steel can, for example, are met by creating steel sheet from the basic oxygen furnace process. The length of a product’s life - regardless of the process - depends on many factors, one of which is its intended end use. A construction beam for an office building, for instance, will have a much longer life than a food can. Food cans are likely to be used more quickly, wile a construction beam remains in a kind of living inventory for recycling. Though the food can is designed for an extensive shelf life, realistically, it will not remain in active use for as ling. recycled content - steel that has already been recycled several times. In spite of continuous recycling, the quality of the end product is maintained, emphasizing steel’s remarkable endurance and malleability. 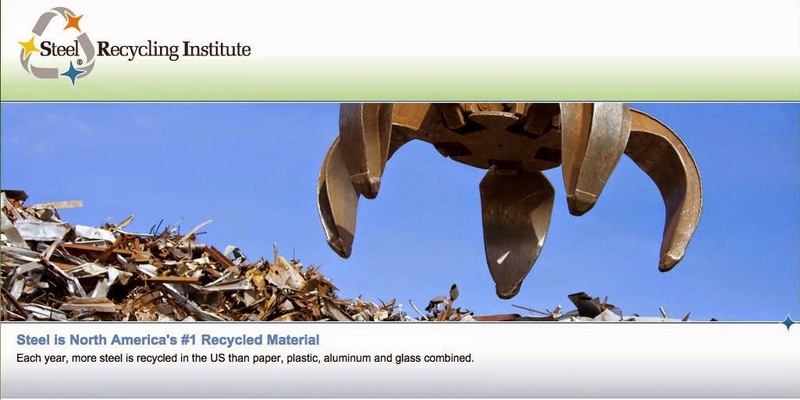 So the industry’s overall recycling rate - the highest of any material - reflects a long history of steel recycling and emphasizes the total environmental compatibility of today’s steel products.